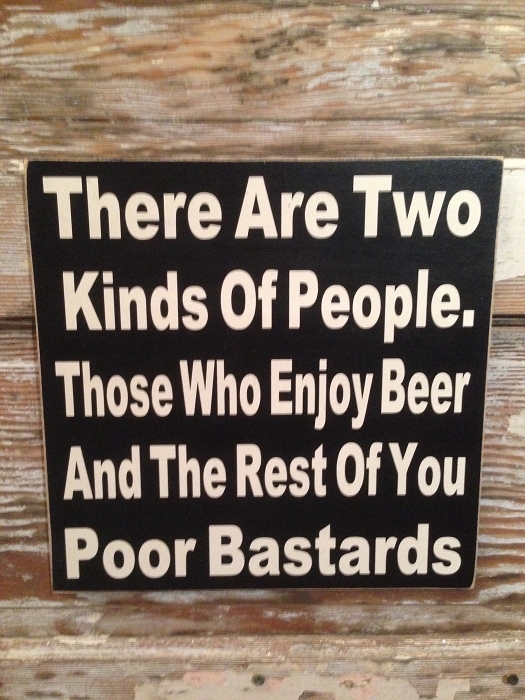 There Are Two Kinds Of People. 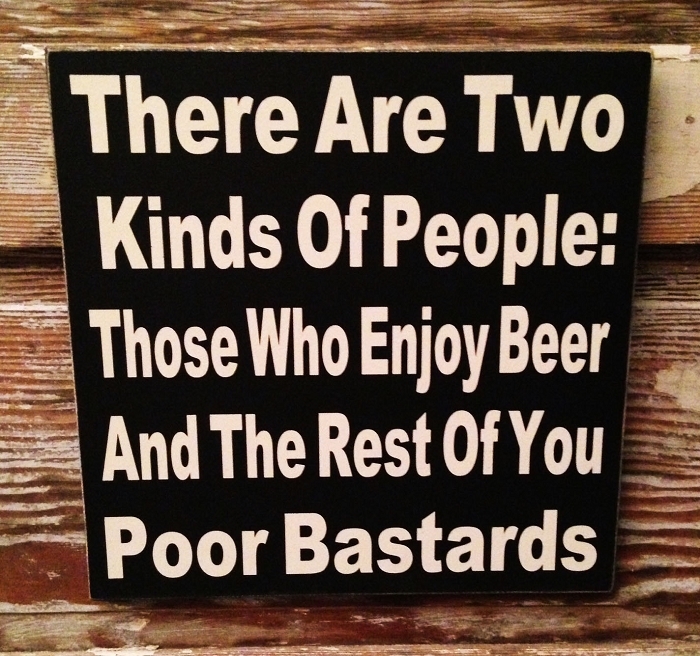 Those Who Enjoy Beer And The Rest Of You Poor Bastards. I bought this as a gift for my dad and had it sent directly to him so I haven't seen it myself. He loves the sign and is looking forward to putting it on their bar. During the process I worked with the shop owner, Linda, quite a bit via convos and she was incredibly helpful. I would order from her again in a heartbeat. Tiki Bar. Rustic Wood Sign.